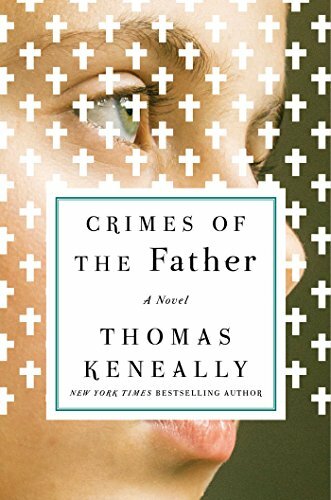 In his newest novel, Crimes of the Father, Booker Prize-winner Thomas Keneally succeeds in the seemingly impossible task of burrowing deeply into the mindset of a pedophilic Catholic priest—a priest, moreover, who helps cover up the crimes of a fellow child molester. Indeed, the smarmy Leo is more complex and well drawn than the “hero” of the story, the too-good-to-be-true, liberal activist Father Frank Docherty. This absorbing book—amazingly, Keneally’s 46th—deftly travels back and forth from 1960 to 1996 through the eyes of four Australian narrators: Frank; Leo (eventually promoted to Monsignor); Leo’s sister, Maureen Breslin; and Sarah Fagan, an abuse victim turned nun turned cabbie. Three main story strands are interwoven among a cast of multiple relationships. One narrative focuses on Frank. In 1972 he was expelled to Canada because his activism—against apartheid in South Africa, against the Vietnam War, in support of Aboriginal rights—challenged the Australian Church Establishment too blatantly. The second story line explores how Sarah’s life has been damaged by the abuse she suffered. The third strand is a broader narrative about two other victims of priestly molestation. All these stories collide in the summer of 1996, when Frank returns to Sydney to give a speech urging the Church to acknowledge its sordid secrets; Sarah picks him up at the airport in her taxi; one of the other abuse cases goes to court; and a different victim commits suicide, naming his molester in his suicide note. The novel is particularly fascinating in its insights into the motivations behind actions that are probably foreign to the experience of most readers. The most horrifying, of course, is Leo’s self-justification that he can “comfort” and “guide” his victims. Keneally—who trained for the priesthood but was never ordained—is primarily known as the author of Schindler’s List (adapted by Steven Spielberg into the Oscar-winning 1993 film) and other bestselling historical novels, mainly set in Australia. In addition to Schindler’s List (originally published under the title Schindler’s Ark), three more of his novels have been short-listed for the Booker Prize. With all this experience, Keneally knows how to spin a compelling plot. The novel’s biggest weakness is the perfect Frank Docherty. He risks his career for his principles, he always finds the right thing to say, and he never gets riled when his buttons are pushed. Even his and Maureen’s sexual attraction is so loving and noble that Damian doesn’t really mind. Despite its flaws, Crimes of the Father is, overall, a good read by a reliable craftsman that tackles an important issue.